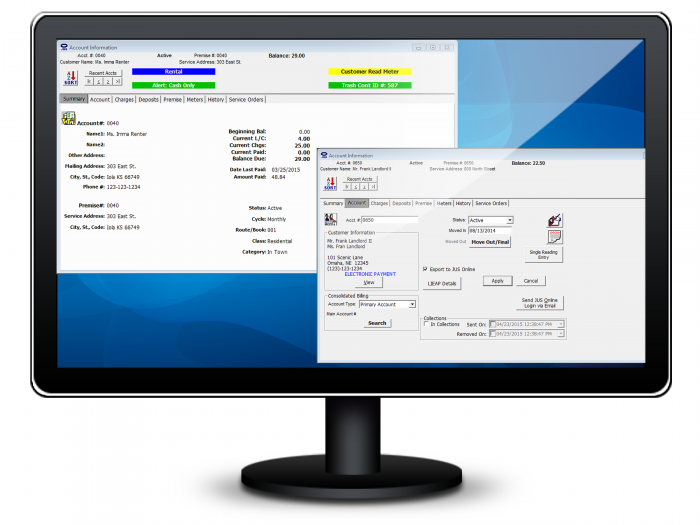 Innovative utility billing software package featuring an integrated billing and accounting option designed for cities, rural water districts, other utility associations, or those customers wanting advanced reporting and unlimited expandability. 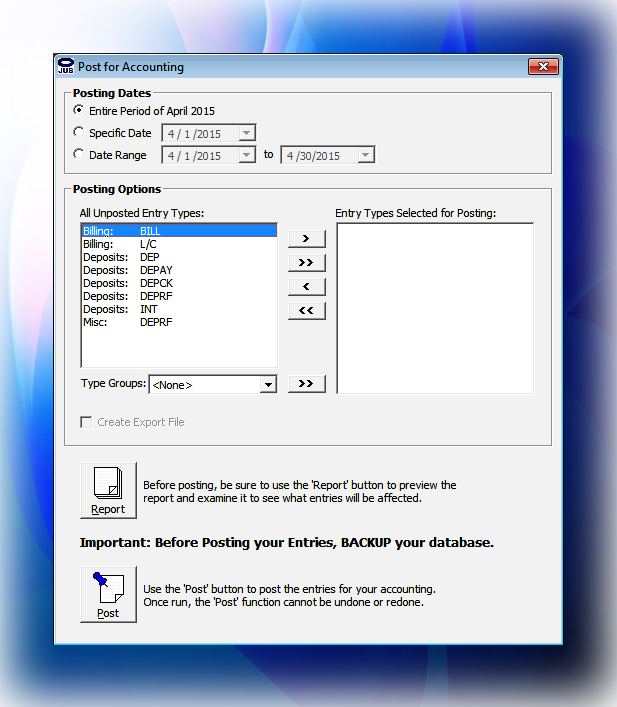 This advanced system allows users to print reports from previous billing periods at any date and time, adjust entries from previous billing periods, print reports to PDF, and much more! JUS is a complete Accounts Receivable for Utility Billing and more. Sort by Account Number, Premise Number, Name, Service Address, etc. Guaranteed bill card quality and printer compatibility if purchased from us!